This weekend has been frigid with storms battering our house and flooding half the country including our neighbour's yard - however I think I may have just created the world's snuggliest snuggle chair? 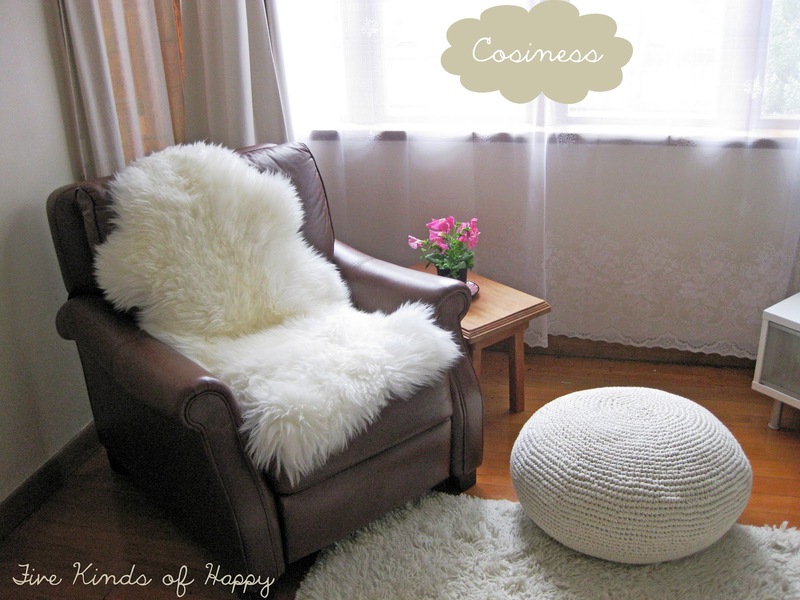 This little corner needed some sheepskin lovin'. We love our cosy little nest! Happy weekend! I'll be back on Monday with some easy decor tips for you to try for Spring! OK, I live in Florida where it's already 80 degrees outside however this looks beyond cozy! Adoring your blog. have the storms stopped? i hope they have! Friday Outfit - Naughty or Nice? Not Just a Pretty Face # 4 - Me!